Losing weight comes down to burning more calories than you consume. Most diets advocate for you to count your calories and then reduce the amount you consume each week while you increase the amount you burn. However, counting calories can be a pain. It is time consuming, frustrating, and requires meticulous planning and detail. The good news is, losing weight can be done efficiently by following basic principles without having to carry a calorie counter. 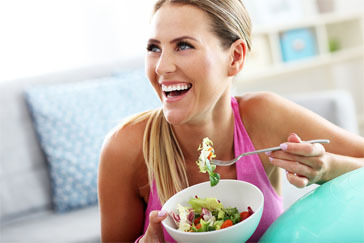 Here are three guiding principles to help you lose weight. Protein is your best bet for dieting since it is the building block of muscle. Furthermore, more protein will allow you to feel fuller so you are less likely to overeat. You should consume 1g of protein for each pound of targeted bodyweight. So if a woman weights 135lbs and wants to weigh 120lbs you should consume 120g of protein a day. You should try to divide that total amount over the number of meals you will consume a day. In this example, if she is trying to eat 6 meals a day, then each meal should contain about 20g of protein. Try to eat lean protein sources such as chicken breast, seafood, 90% lean bison or turkey, egg whites, low fat Greek yogurt, or tofu. Always pick the leanest protein sources with reduced fat. Fiber has been shown to reduce the risk of developing heart disease, diabetes, and plays an important role in weight loss and helping maintain a healthy weight. When you eat more fiber you feel full and this decreases your appetite so you are less likely to overeat. Great sources of fibrous vegetables include broccoli, asparagus, cauliflower, green beans and kale. Great sources of starches include brown rice, whole grain pasta, quinoa, oatmeal and bread. When you eat a meal you should feel satiated. You want to be able to have eaten the food but not in a way that causes you to feel stuffed and uncomfortable. Eat slowly so that the hormones released from your brain can trigger a sense of fullness to notify you to stop overeating. A helpful tip is to eat slowly like you are at a job interview. You want to take your time and eat at an appropriate pace. If you find yourself famished before you eat, first eat the lean protein, then the fibrous vegetables, then the starch and finally the low fat sources. Always strive to eat more lean protein. If you find that you are stuffed when you eat, reduce the food on your plate. You can achieve great success in weight loss without counting calories. While some may find it discouraging to not keep track of your calories, be aware that you may be losing weight but the weight loss is not visible on your body. Keep track of your dieting progress with weekly measurements on the scale and measurements of your waist. Use this progress to keep yourself motivated. The key is that you need to simplify your diet so that you consume lean meats, high fiber foods, and eat slowly so that you do not overeat. In time, you’ll see great progress on your way to success. 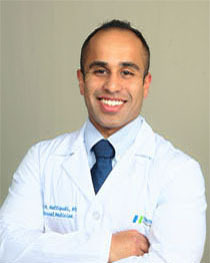 Rajiv M Mallipudi, md, mhs is an internal medicine resident physician, personal trainer, athlete and author. He has over a decade of personal training experience and helped hundreds of clients of all levels achieve their weight loss and fitness goals. This inspired him to work as a clinical researcher at the nationally recognized Johns Hopkins Hospital Weight Management Center. During medical school he and his classmates created the health and wellness organization, medfit, which provided personal training and nutrition counseling to the medical student body. In his spare time, Dr. Mallipudi enjoys playing ice hockey, dancing, and training for his next bodybuilding and powerlifting competitions. Dr. Mallipudi serves as a contributing writer for the Diet and Fitness sections. calorie counting has helped my friend lose weight. she had also mastered the proper discipline in life to live healthier. i hate counting calories.i really find it very difficult. i will just religiously follow the rules in this article to shred off some pounds. really? 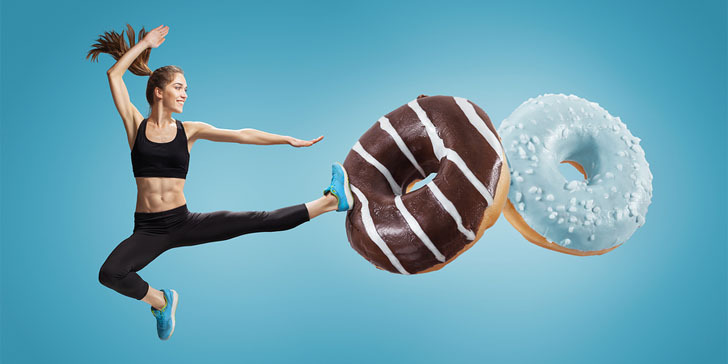 is it really possible to lose weight without tracking your calories? this is a wonderful article worth reading and sharing. i don’t like taking note of what i eat and measure or count them. this is pretty good advice for me. fiber is very essential in every diet because it helps in proper digestion and makes you full without eating so much. i learned that eating slowly makes a big difference in trying to lose weight. i’ve tried this and it’s proven to be really effective. now, i’m used to eating slowly. i don’t count calories but i do watch what i eat. i try to keep a well-balanced diet and control myself from eating in big portions. oh gosh, i really need this. i don’t like the idea of counting my calories and checkin on every food i eat. thanks for the post, i’m gonna read more on this. the most effective way for me is being consistent and sticking with a healthy diet for the long term. great tips! will share this with my friends. eating slowly is one secret that has worked for many. try it and see the difference. thank you for these ideas! i never liked taking notes of what i eat and then trying to count the calories and stuff. it just seems tiring. i have kept a habit of eating really slow. no matter where i am, i make sure i take my time so i can eat properly and that the food gets digested well. thank goodness! i never had interest counting my calorie intake. it just feels complicated and very tiring for me personally. my boyfriend was the one who taught me to eat slowly so i won’t bloat and i won’t tend to overeat. i’m always on the go and this has been a helpful trick for me. these are indeed the bests trick to losing weight without putting too much effort. thanks for sharing! thank goodness, i don’t have to count calories on everything i eat. i love this! i just don’t like when i need to take note of what i ate and stuff like that. this is how i like it better. i hate taking notes, especially on what i eat. choose a healthy diet and try exercising too. eating more fiber and less calories is the number 1 for me! such a great help for me! i hate counting and measuring each and everything i eat so this is really awesome! eat and chew slowly. this will help a lot. i like this! very simple but makes sense.